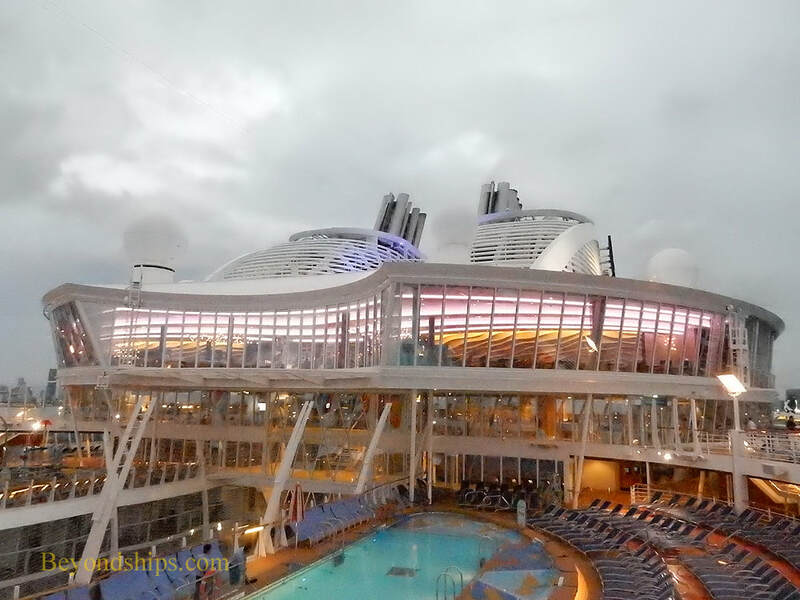 The main dining room on Symphony of the Seas is a huge room that rises through three decks. 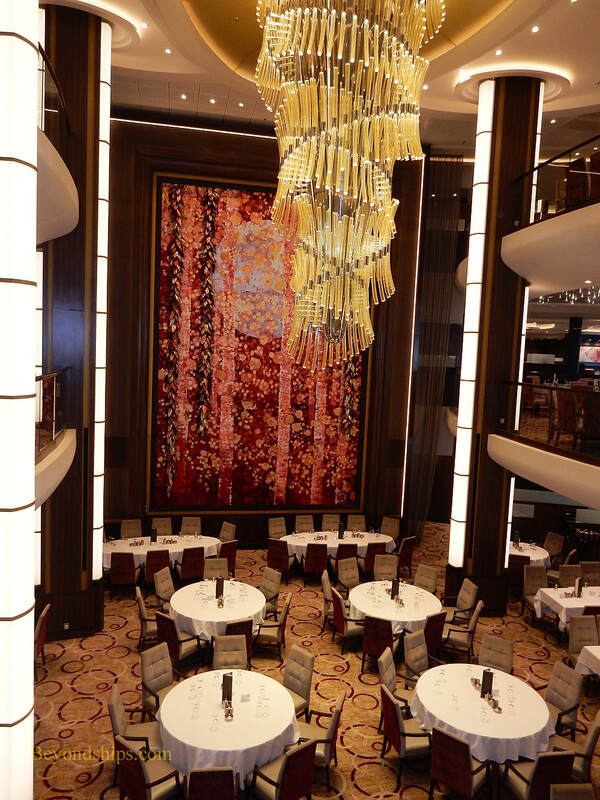 One of the dining room's three levels is open for breakfast and lunch (sea days only). Seating is on an open seating basis. For dinner, all the levels of the dining room are open. 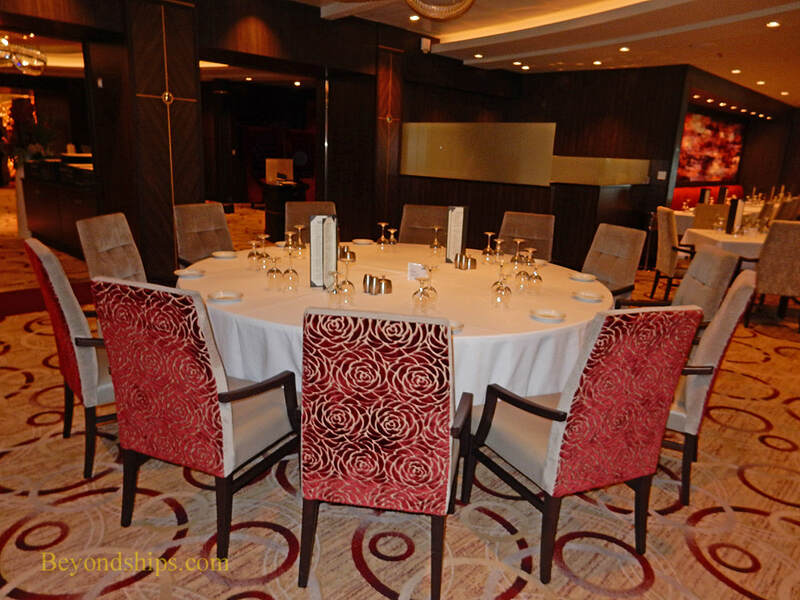 Decks three and five follow the traditional cruise system where guests are assigned to a specific table at either the early or the late seating. Deck 4 follows a flexible dining system. 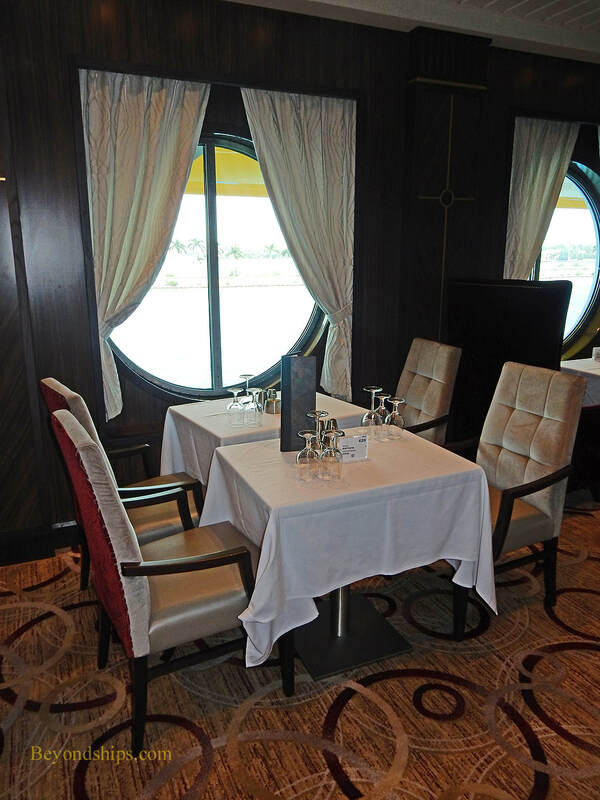 Guests can dine any time the restaurant is open but are not guaranteed that they will have the same table throughout the cruise. 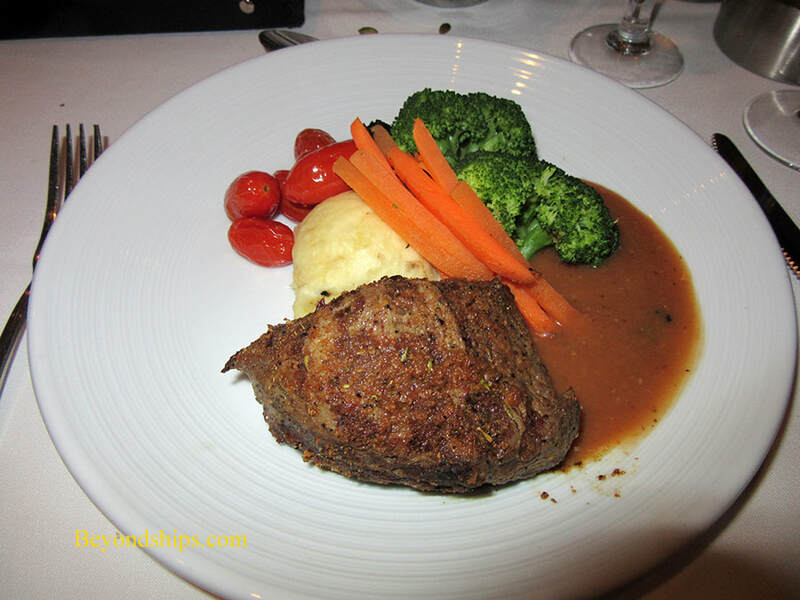 Royal Caribbean encourages, but does not require, guests to make reservations. The same menu is used throughout the main dining room. 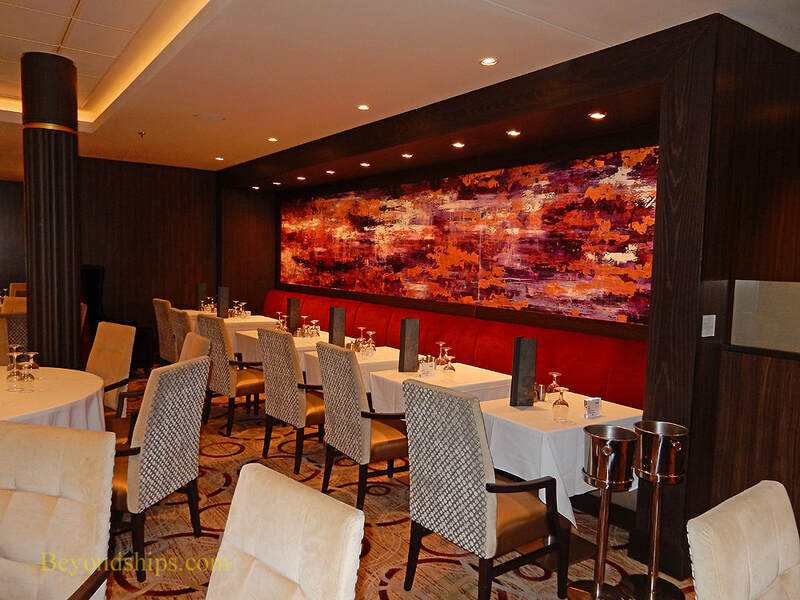 The Coastal Kitchen essentially act as the main dining room for guests staying in Grand Suites and above as well as for Pinnacle level members of Royal Caribbean's Crown & Anchor loyalty program. It is located on Deck 17 in what was called the Viking Crown on earlier Royal Caribbean ships. Its floor to ceiling windows offer spectacular views forward over Central Park, the pools and the sea. This venue is open for breakfast, lunch and dinner. It shares this area with the Suites Lounge.